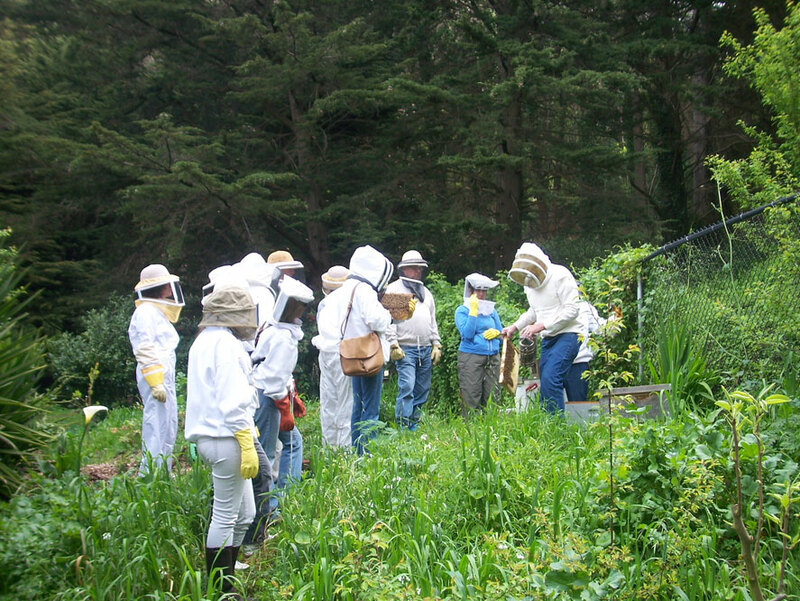 The San Francisco Beekeepers Association is the premier organization for beekeepers in our city. 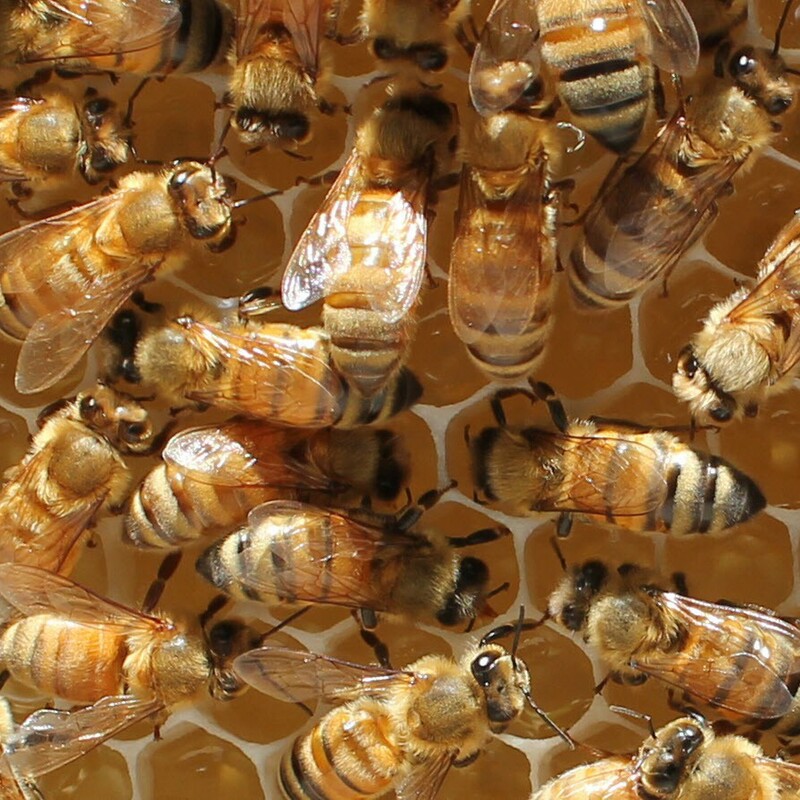 offer swarm removal services to the public at no or low cost. Membership costs just $30 per year ($40 for a family membership) and you can join the club now online. 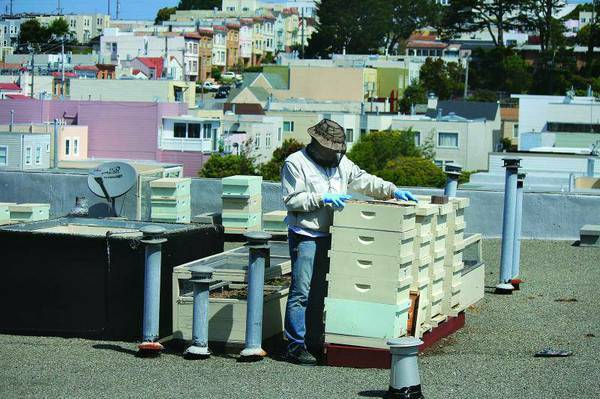 The SF Beekeepers meet on the second Wednesday of every month at 7 pm at St. John Armenian Apostolic Church, 275 Olympia Way. The meetings start with a general Q&A followed by an expert speaker. All meetings are free and open to the public, and visitors, experienced beekeepers and would-be beekeepers are all invited. We run classes every February and March to train incoming beekeepers. Classes are open to the public and at a discounted rate to members; you can either get on our mailing list or join the club now to be sure of being notified when & how to sign up. Need help with a swarm? A “swarm” is a large mass of honeybees clinging to an object such as a tree branch or bush, side of house, or even just on the ground. Don’t panic if you see one; bees in a swarm are usually quite gentle. Instead, just call the SFBA Swarm Dispatcher at (415) 99-SWARM or (415) 997-9276 or click this link for more information.